Nothing stands in the way of revenge, romance, and rediscovery for the women in these stories, who make the most of second chances. Whether coming to terms with lost love, or facing real and imagined demons on an amusement park ride, these women do what it takes to survive ... and then some. Stick with them through sunny days, shifting sands, stormy skies, and starry nights as they learn about life and love at the beach. 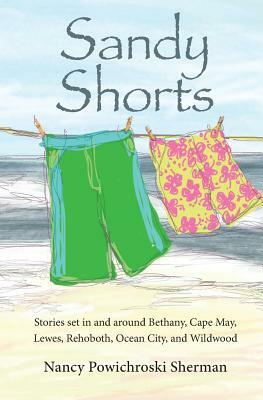 Award-winning writer Nancy Powichroski Sherman strikes just the right chord in this entertaining selection of stories, all set in towns along the shores of Delaware, Maryland, and New Jersey. Smile with recognition as characters in the stories run into the surf in Rehoboth Beach, ride the ferry from Lewes to Cape May, barhop in Dewey, sip lattes in Bethany Beach, stroll on the boardwalk in Ocean City, and visit the Wildwood amusement pier.